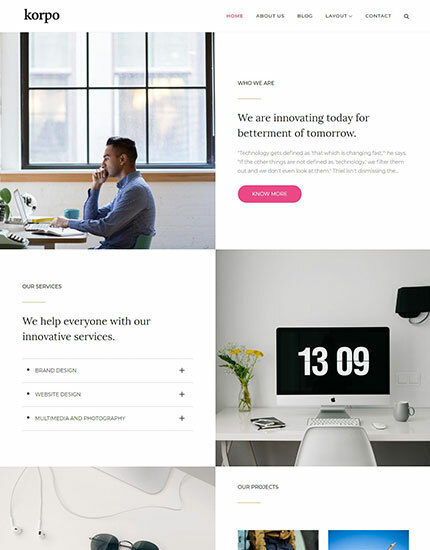 Korpo, with its aesthetically pleasant and modern looking design is a multipurpose WordPress theme fully capable of handling the needs and requirements of enormously vast range of websites, from personal to corporate but is particularly suited for business website. 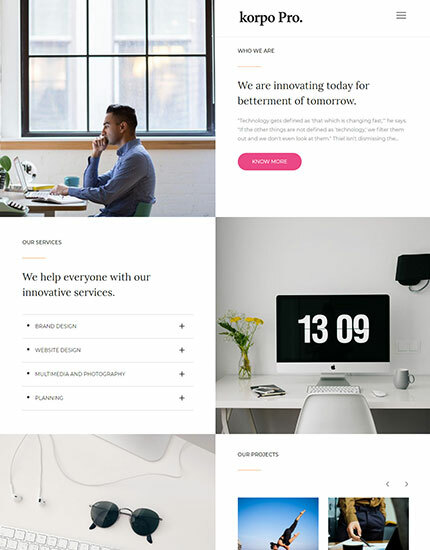 The theme is beautifully crafted, clean, easy to use, responsive, features different layouts with sidebar position and allows unlimited color selection. It has been designed for everybody with or without previous coding experience to effectively and helps to speedily put together polished, professional quality websites without having to so much as peek at a single line of code.